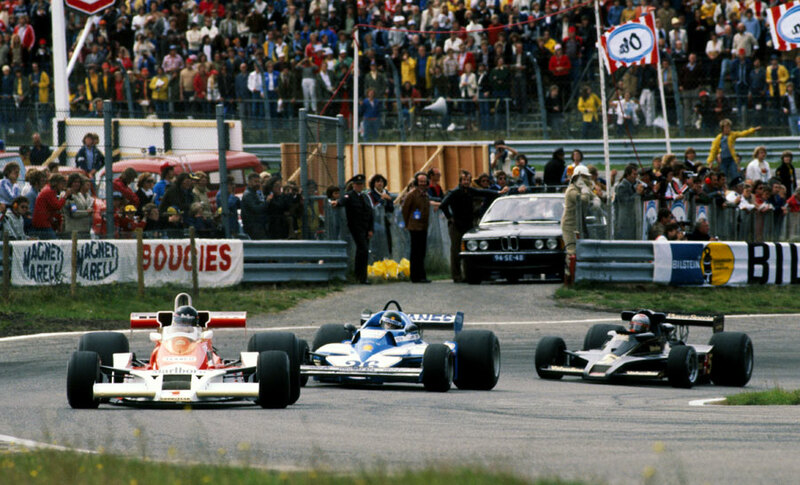 Niki Lauda moved a large step towards his second world title with victory at Zandvoort, opening up a 21-point lead over Jody Scheckter with four races remaining. "The champagne," The Times commented, "is already on ice." James Hunt, seeking his third straight win at Zandvoort, won the sprint to the first corner from pole-sitter Mario Andretti, holding his nerve to send the Lotus onto the grass which briefly allowed Jacques Laffite into second. Andretti re-passed but on the sixth lap he collided with Hunt as he tried an overtake. Hunt was left stranded with a broken oil cooler, and although Andretti resumed he retired eight laps later with engine failure. Hunt, meanwhile, had sought out Lotus boss Colin Chapman and told him: "Your driver will never win a championship until he learns not to hit people." When Andretti returned he found Hunt waiting for him in the pits and the pair argued for several minutes. "He tried to pass me where it was impossible," Hunt told reporters. "He acted as though I would just disappear," countered Andretti. "Hunt says you don't pass on the outside of a bend. Silly jerk." Laffite took the lead from the Ferraris of Lauda and Carlos Reutemann, but the latter's race hopes ended when he came together with Gunnar Nilsson. Reutemann was able to continue after repairs, resuming in 13th and driving brilliantly to take sixth. Lauda passed Laffite on the 20th lap, was immediately re-passed, and went ahead again at the end of the next lap. Laffite repeatedly counterattacked but finished just under two seconds behind the Ferrari. Patrick Tambay seemed set for third until his Ensign ran out of fuel on the penultimate lap, allowing Scheckter to take third after starting back in 15th.